Jamie Redknapp feels Arsenal have cast aside their 'soft' reputation since Unai Emery's arrival at the club. 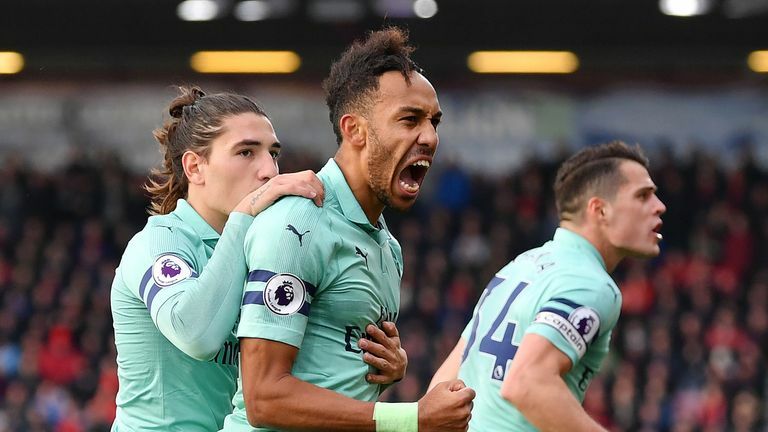 The Gunners extended their unbeaten run to 17 games with a 2-1 win at Bournemouth, on the ground where they were beaten by the same scoreline last season under Arsene Wenger. This time around, Emery trialled a 3-4-3 formation at the Vitality Stadium, which produced the Gunners' first win in four games - but Redknapp said their improvement was more down to attitude than tactics. He said: "I think they've changed the mentality too.In the last few years, they've been soft. How many times have we spoken about how they have no strength in the midfield? "Those things can't happen, but they were happening time and time again under Arsene Wenger. They are more resilient, they are stronger. "There's still a long way to go, the top four will be a big ask, but I like what I see. I think the manager has got them going, they're aggressive, they get to the ball more, and that's what you've got to do if you want to win any sort of title." Former Arsenal Ladies defender Alex Scott said the change in shape for Arsenal had borne fruit after half-time, with the Gunners dominating possession and chances after struggling in the first 45 minutes, and only taking the lead through a freak own goal from Jefferson Lerma. She said: "You have to credit Unai Emery, to change the formation today - it was a risk, coming off the international break and not spending a lot of time with his players, but you can see now why he did it. "It came to light in the second half, it was to pin Bournemouth back and to stop them on the attack. It allowed Arsenal to be higher up the pitch and get more numbers forward. "But Emery will look at the start, because it's a repeat pattern. It's lucky that they still manage to go in at half-time, still in a game. "That first 20 minutes, you're looking at the game and Arsenal are being totally exposed with the wing-backs, but they stayed in the game and then changed after half-time."